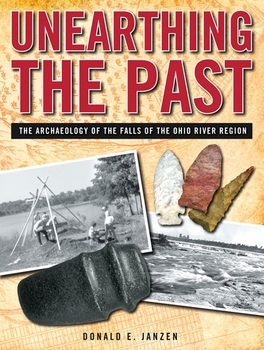 Archaeologist Don Janzen's new book, Unearthing the Past: The Archaeology of the Falls of the Ohio River Region, takes readers on a 10,000-year journey to explore prehistoric Native American life in the Falls of the Ohio River region. The fascinating story, which begins with bands of hunters and gatherers foraging for food and ends with settled village life based on horticulture, is told through a detailed discussion of eight archaeological sites in the area, and is richly illustrated with a variety of images of artifacts that were left behind. Janzen's captivating and compelling revelations about what lies beneath the streets and subdivisions of this now-bustling 21st century metropolitan area will be enjoyed by archaeologists and general readers alike.